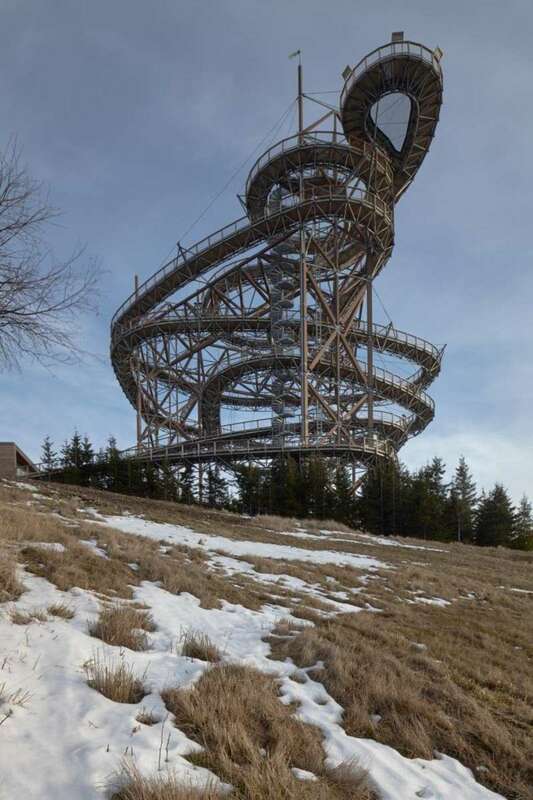 On the top of a mountain in the Czech Republic, Franek Architects and Taros Nova have built Sky Walk, an unusual structure: a unique walkway set in a breath-taking landscape that reminds us just how small we are before Nature. 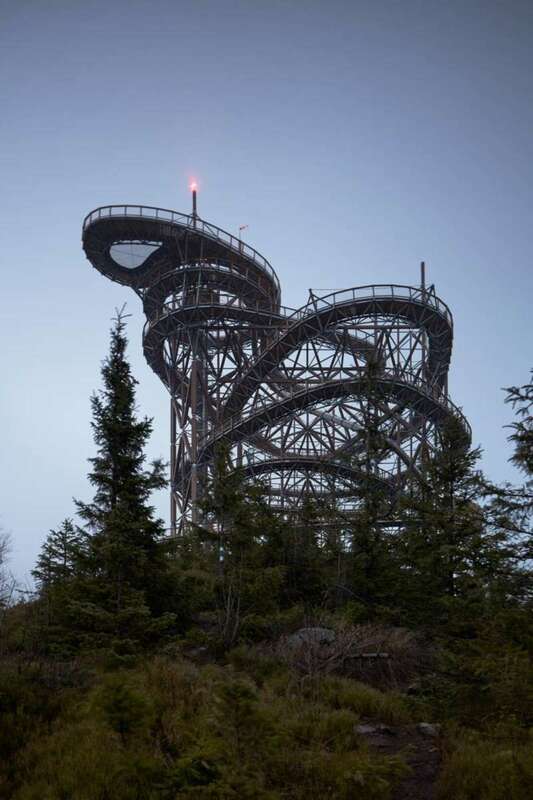 Czech Architect Zdeněk Fránek has built a truly unique construction: Sky Walk is a steel and wood structure at the top of a mountain, surrounded by the wild natural landscape of Králický Sněžník mountain. With a height of 55 metres, Sky Walk stands out from the landscape around it, so that we feel truly small before the immense beauty of nature. In short, Sky Walk is a steel frame structure supporting a wooden walkway. Fránek’s idea is that the structure should have “an abstract shape like the flight of a butterfly, with its completely chaotic directions”. The most complicated challenge involved in the construction of this panoramic walkway with its extremely eccentric form was its position, and the need to transport all the materials to the site, for the wind is very strong at this altitude, causing quite a lot of problems during construction. Sky Walk offers an infinite quantity of different points of view, offering people an experience of total, empathetic immersion in nature and the landscape. It is accessible to the disabled and offers visitors an opportunity to descend a slide more than 100 metres long starting at its highest point.